I can’t believe that the first week of August is over! This summer has been flying by, and we’ll be leaving for college in 18 short days. 18 days is not enough time to buy everything we need and, of course, cook our way through our “make-before-college” list. Well, hopefully everything that needs to get done will get done eventually! 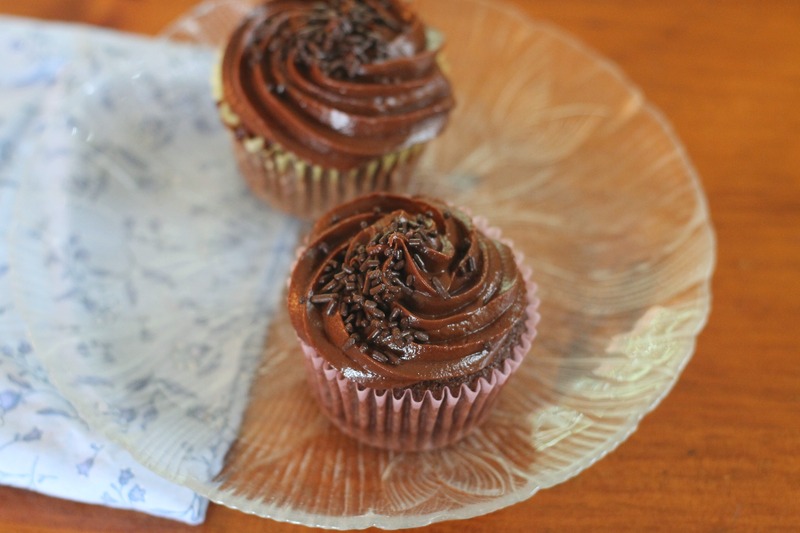 One of our friends came over a couple of weeks ago to bake, and she picked this Nutella frosting for cupcakes. We won’t be posting the cupcake recipe today since we still haven’t found our ideal one, but this frosting needs to be shared before our blog inevitably becomes neglected when we leave for college. It’s heavenly- fudgy, creamy, and full of chocolate flavor. It’s as delicious eaten from a spoon as it is on top of a cupcake. The Nutella flavor isn’t super strong, but it’s definitely there and is what makes the frosting so perfect. It’s easy- place all of the ingredients in the bowl of a food processor and pulse until very smooth, about 1 minute. Place the frosting in the refrigerator for about 15 minutes to let the frosting thicken a bit. Frost cupcakes, a cake, etc. Enjoy!